The knock on the door, and an outstretched palm containing a steaming plate of food. Chicken-and-veggie rice casserole or Palestinian maqluba, to be specific, on a plastic white flower patterned plate. Yes, Mama Jama the landlady brought us dinner! And it couldn’t have been at a more opportune time. In my missionary zeal for bhoono­-fying, I had just burnt the aloo gosht. Mama Jama probably smelt the aroma of charred onions drifting down the staircase and took pity on us. Of course, it’s not that I was expecting her to. It’s not the reason I’d show up at her doorstep every other week with a lovingly-prepared bowl of kheer, zarda or melt-in-your-mouth gulaab jaaman. I was just being neighbourly. And testing out my (extremely novice) Pakistani dessert skills. And skirting the guilt of single-handedly consuming 2 pounds of sugar in one afternoon – an inevitability if said bowl of kheer or gulaab jaman remained in my apartment, thanks to the relentless sweet tooth inherited from my dad. Yes, I am an epicure (fancy word for greedy). If it were up to me, I’d either be at home baking apple pies and chewy chocolate brownies before proceeding to do justice to their goodness, or I’d be outside in a café or bakery sinking my teeth into the congenial warmth of freshly-baked cinnamon roll, red velvet cupcake, almond croissant, pumpkin pie, strawberry cheesecake, piping hot apple pie or chewy chocolate brownie, with my nose between an equally delicious New York Public Library book. Luckily, I have a very active and health-conscious husband, who, a) makes sure that I never find more than 50 cents in my wallet at whatever random moment the sweet tooth calls, rendering me helpless in the face of heavenly-smelling street stalls and petite cafés with bothersome minimum-cash policy; and, b), manages to drag me out somewhat regularly for a bit of exercise. 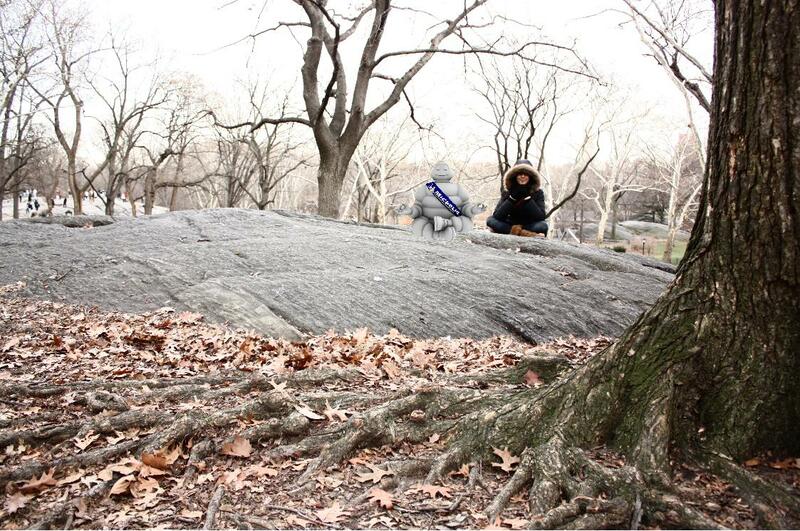 Our current physical activity is rock climbing – on the boulders of Central Park. So, if you ever happen to be strolling near Columbus Circle on a Saturday morning and see two figures attached to a rock – one, strong, athletic, moving swiftly across the rock face like a demo picture from “The Self-Coached Climber”, and the other a ball of play-dough smushed against the wall – you’ll know it’s us. I have to say though, as much as I was dreading another East Coast winter, there is a charm about it, a crisp-coloured storybook charm. I don’t know if it’s in my brown BearPaw boots, or the toasty knit cap and woollen mitts that I gleefully don every morning; the feel of a hot Starbucks hazelnut latté between my fingers or the beautiful bareness of Central Park, the crunch of leaves beneath my feet, and the blossoming of Christmas lights on 5th Avenue. Ice skating at Bryant Park, followed by a cup of steaming apple cider and a stroll through the dazzling holiday market, a veritable Santa’s workshop; the pleasant conviviality of huddling with strangers in the 8×8 floor space of Kathi Rolls or Mamoun’s Falafel in the Village, exchanging smiles over a shami kabab roll and shared hearth; or, maybe it’s just the indescribable comfort of home, where you return from the cold with relief and bliss in your heart – given that the heat is working, which you can trust it to be if you’re on food-exchange terms with the landlady. Of course, slopping through puddles to do your laundry or buy a carton of milk is another matter, as are the thundering hailstorms that sound as if they’ll break straight through your skylight and flood the apartment, the sodden subways and the razor-sharp winds whipping through the labyrinth of high-rises ready to slice off your nose, or having to wear the same inflated down jacket for five months until you are resigned to looking like the Michelin Tyre Man in every photograph. But no matter how much I complain about it now, winter was always my favourite season in Lahore. I would dream about it the whole year – dream of the day, sometime in November, when the gas heaters were unearthed from the store room and dusted out, when bright chunky sweaters and printed Aurega shawls were unpacked and sunned to get rid of the minty smell of mothballs. The marvelous halvas my mother would begin to ghot-ofy in the kitchen, gajar, anda, sooji, and my personal weakness, chana daal, the rich smell of ghee and shakkar permeating the entire house in its intoxication; the blood-red pomegranates and succulent oranges we’d eat sitting out on the dewy lawn, the dogs snoozing under the chairs, wrapped up in a brown khaddar shawl that smelt of faded Chanel No. 5. Winter was synonymous with Ramzaan and Eid, with grand tented shaadis, Capri nashtas and apple sheesha at MiniGolf, starry walks, sunny picnics, bonfire dances; lying curled up on a floor cushion in front of the heater in your living room, looking out at the lights of the 600-year old Lahore Fort from the rooftop of Cuckoo’s on your cousin’s December birthday, or blushingly saying “Hello” to your soul mate in the back rows of a Gymkhana concert…life didn’t get any better than a winter in Lahore. And that’s alright. Because time doesn’t flow if you don’t dream. 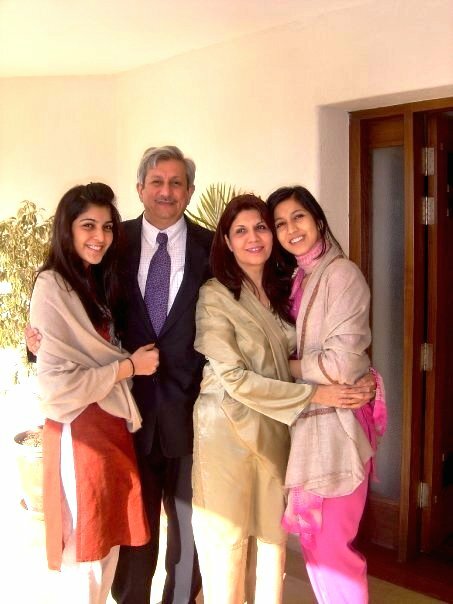 This entry was posted in America, Brooklyn, Home, Identity, Lahore, Life, New York, Pakistan, Winter and tagged Brooklyn, Bryant Park, Central Park, Dessert, Lahore, Life, LUMS, Memories, New York, Pakistan, Winter, Women's Own. Your post made me want to check out Mamoun’s Falafel. I live in the East Village and was excited to see there is one on St. Mark’s Place. Imagine my disappointment, then, to discover it’s been closed because of some kind of building issue. I could of course venture westwards to the other branch, but I tend to hibernate in my own ‘hood when the weather gets chilly… Let’s hope the St Mark’s branch reopens before long!